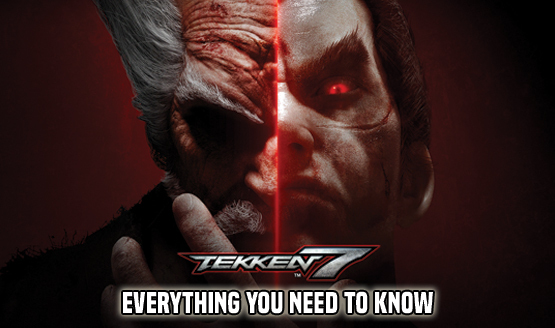 The biggest release of this week is undoubtedly Bandai Namco’s Tekken 7. Not only does the highly anticipated fighting game live up to the hype according to our review, but it also brings the Mishima saga to an end. In the game’s recently released launch trailer, the publisher shows off their hopes for the competitive scene, both online and in players’ households. If you’re on the fence about picking up the title today, make sure to check out the launch trailer embedded above. It’s an exciting video that might just push you over the edge, and get it on launch day. Those that do purchase it, will want to check out tips article, which breaks down seven tips that’ll make your experience more enjoyable from the start and improve your play. The Tekken 7 launch trailer wasn’t all that Bandai Namco released today, as they also put out a video starring British celebrities Keith Chegwin and Timmy Mallet. In the entertaining three minute video, the two 80s stars trade some banter, and then settle their differences in a Tekken 7 match for the ages. I won’t spoil who wins the epic clash, so check out the cheeky clip below.